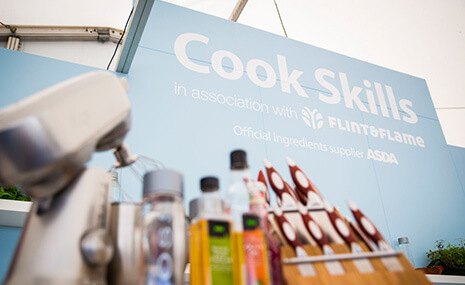 Whether you are looking for a new career, run a cooking school or hotel, or are a student starting to make your way in the world of cooking and food – Flint & Flame want to work with you. You can use the menu on the left to discover more about the fantastic programmes, alliances and partnerships that exist within the Flint & Flame ‘family’. We are always looking for new business partners and, with our 20,000+ strong database of discerning customers who have made the decision to buy one or more of our beautiful knives, the opportunities for collaborating are immense. In addition the newly acquired laser etching technology at Flint and Flame means that not only does it make sense to work with us, but now for the first time you too could be associated with this wonderful product in a tangible way, offering your customers beautiful bespoke gifts and awards that speak volumes. Contact Flint and Flame on 01403 740 230 to explore the opportunities. We support both commercially and ethically the activities of The Wellness Tree Group. 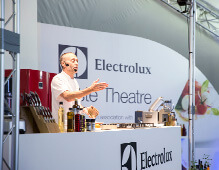 The first step to a healthy life and healthy living is what we eat, the heart of every meal is the tools we use to make it, and of course that begins with a knife, then cookware and the ingredients…so the link between the two companies is absolute and we are delighted to partner with them at numerous shows across the UK.